If you haven’t gathered from my full review of Injustice for All, it’s not a game I care for very much. It’s your basic average action platformer that has nowhere near the tight controls to make either combat or the act of jumping fun whatsoever. You won’t feel super playing as the League in Injustice for All and it makes laughing stocks of some of the most deadly villains in the DC Universe like Lex Luthor and the Joker as they stand there taking punch after punch until they fall down. The Justice League and the show in which this game takes inspiration from deserve far better than this lazy and hastily thrown together cash grab. WB Games’ take on the Marvel Ultimate Alliance formula did not translate well to the original DS. 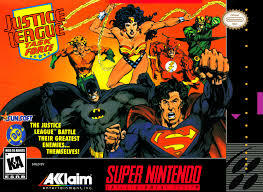 Owing more to arcade games like Gauntlet than its action-RPG counterpart on consoles, Justice League Heroes loses about everything that makes a game of this genre worth playing for more than a couple of minutes, including three members of the main cast who are delegated to being quick summons that you won`t even need. There`s no loot to hunt down, no character customization, and without those two things, all you`re left with is an easy, boring brawler where it doesn`t even feel good to beat on bad guys thanks to loose feeling combat mechanics. Enemies like Brainaic, Gorilla Grodd and the Key pose as about as much a threat here as they do in Injustice for All as they barely fight back even when being melted by Superman`s heat vision. 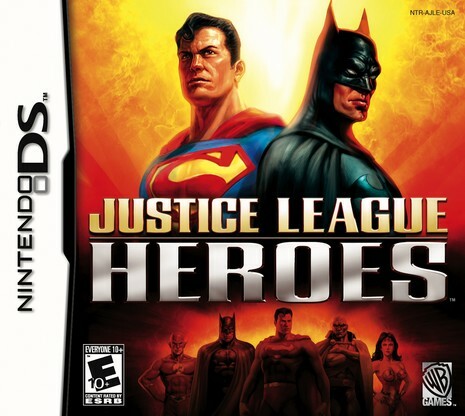 There`s far better Justice League portable games, two of which that can be played on certain models of the DS. About the only thing that keeps Justice League: Chronicles at the number four spot is its length as a player of even average skill could see everything that Chronicles has to offer in about two hours. 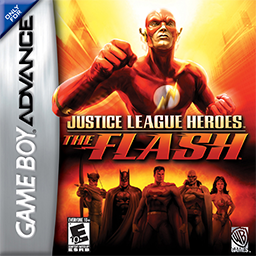 Brevity aside, Justice League: Chronicles is a solid beat-em-up that terrifically translates its source material, the Justice League animated series, into a video game, and on the underpowered Game Boy Advance no less. 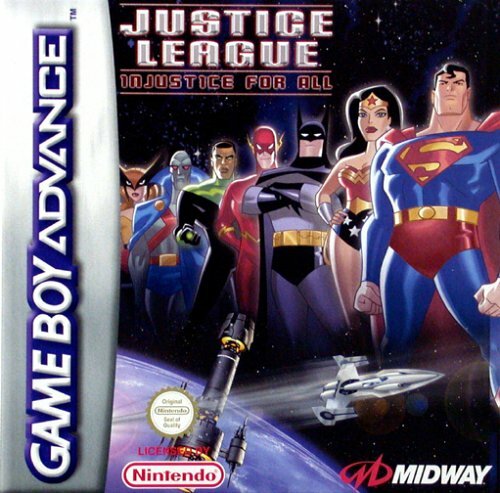 The way in which the campaign is broken down into “episodes” and focuses on a few members of the team at a time was a genius way to both work within the limitations of the GBA hardware and respect the Justice League animated series. A few, short 3-D endless runner states with Flash and Batman as well as a Star Fox inspired section featuring Superman don’t fare as well as the level-to-level brawling action, but they’re minor distractions that don’t drag down the game as a whole. 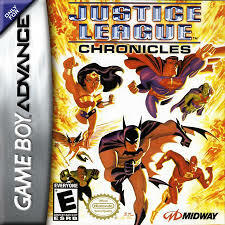 If you have anything that can play Game Boy Advance games, consider seeking out Justice League: Chronicles. Justice League: Task Force is a tough sell considering the quality of Netherrealm’s Injustice series of games. If when you get out of Justice League however, and want to have some one-on-one bouts with a friend in a game that has most of the cast of the film (Cyborg isn’t in this game) in perhaps a game that’s a little less intimidating, you could do far worse than Justice League: Task Force. The special moves of the included fighters may not be as reliable as those in either Street Fighter II or Mortal Kombat, but they work well enough and considering this game has a lot of the same DNA as Capcom’s iconic fighting game series, even someone who hasn’t played a game since the 16-bit era would be able to pick up Task Force and start having fun. For all its faults, Justice League: Task Force does a fine job of honouring the DC universe in both the fighting arenas and how both the heroes and villains play and feel. Also available on Sega Genesis. Technically speaking this is a Justice League game in name only, but it qualifies for this list on that alone. Taking the role of the Flash during the events of Justice League Heroes proper, this beat-em-up from the folks at WayForward plays as good as it looks and to date is the best solo-Flash game on the market. It can be a bit difficult, even on the medium difficulty, but there’s an easy setting available if you need it that doesn’t make fun of the player for selecting it like some beat-em-ups did; You can see the entire game on the lower difficulty as well. 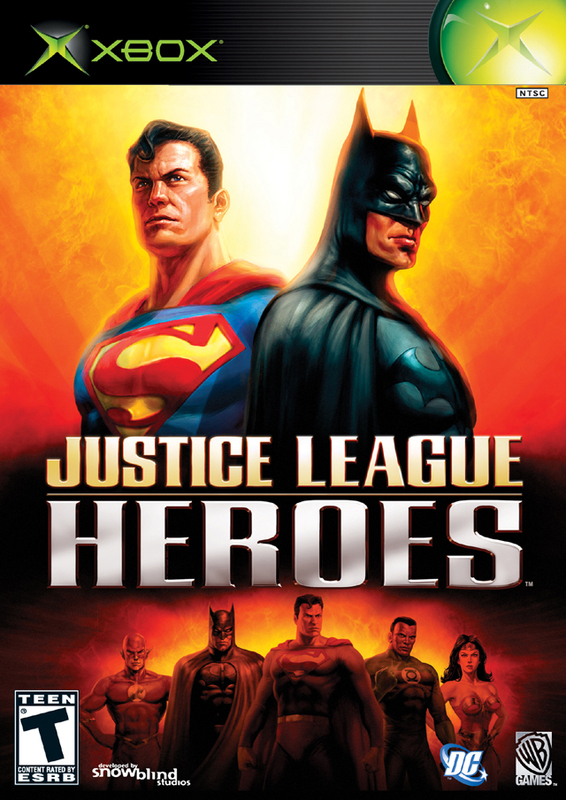 You only get to play as one member of the Justice League in this game with everyone else being used as characters you can call in to help when you’re in trouble, but this is a far better game than JLH on the DS where you can play as four members of the League. If you’re looking for an experience that’s one-to-one with the Marvel Ultimate Alliance series in Justice League Heroes, you’re going to be disappointed as Heroes has nowhere near the choice or customization as either the X-Men Legends or MUA series. For the ten or so hours it lasts though, Justice League Heroes is a solid brawler with enough RPG trappings to keep you going, especially if you`re a huge fan of the DC Comics universe. Heroes is good, and sadly not great, but eleven years after its initial launch, it’s still the best game to carry the Justice League name. The repetitious nature of the dungeon-crawling action is best played with a friend, or conversely in shorts bursts on the go on either the PSP or PS Vita. You don’t even need to buy a physical UMD as this game is still on the PlayStation Network (in North America at least, you may want to check your territory). Also available on PS2.